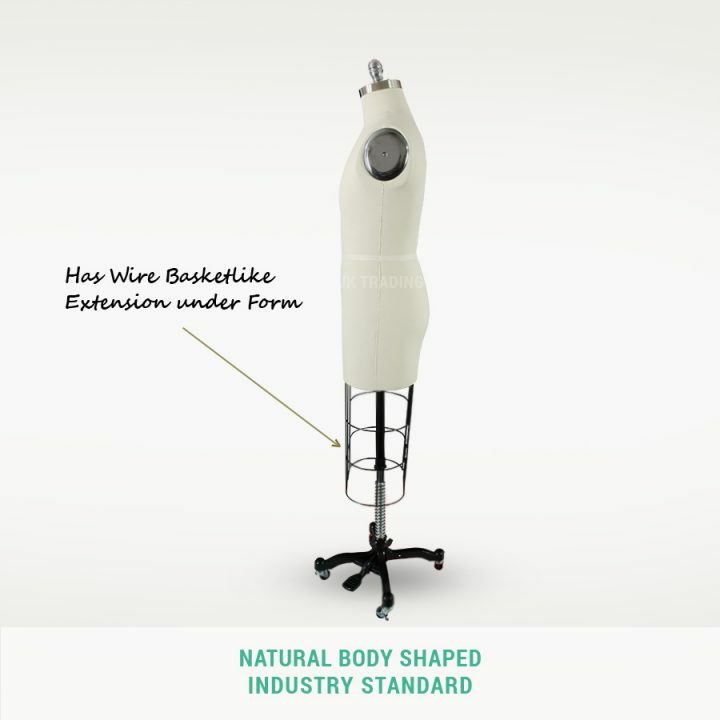 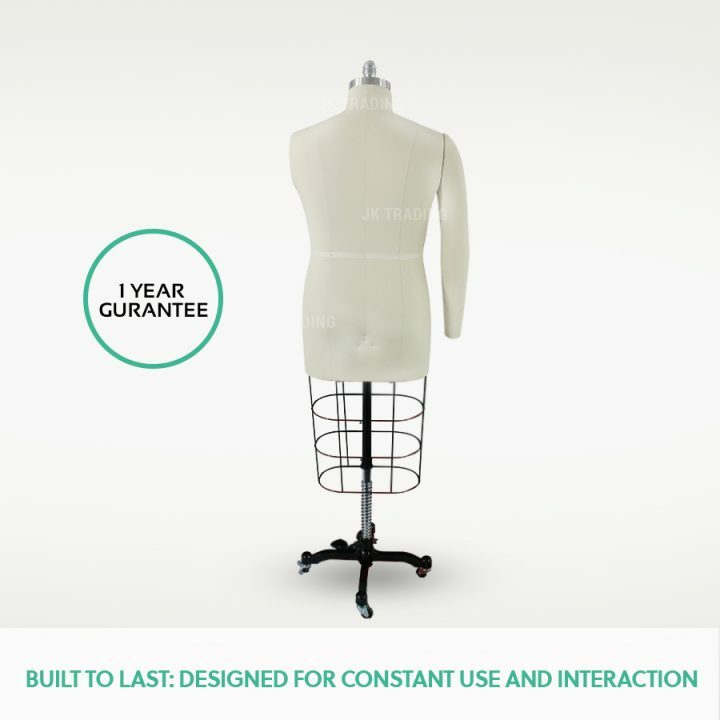 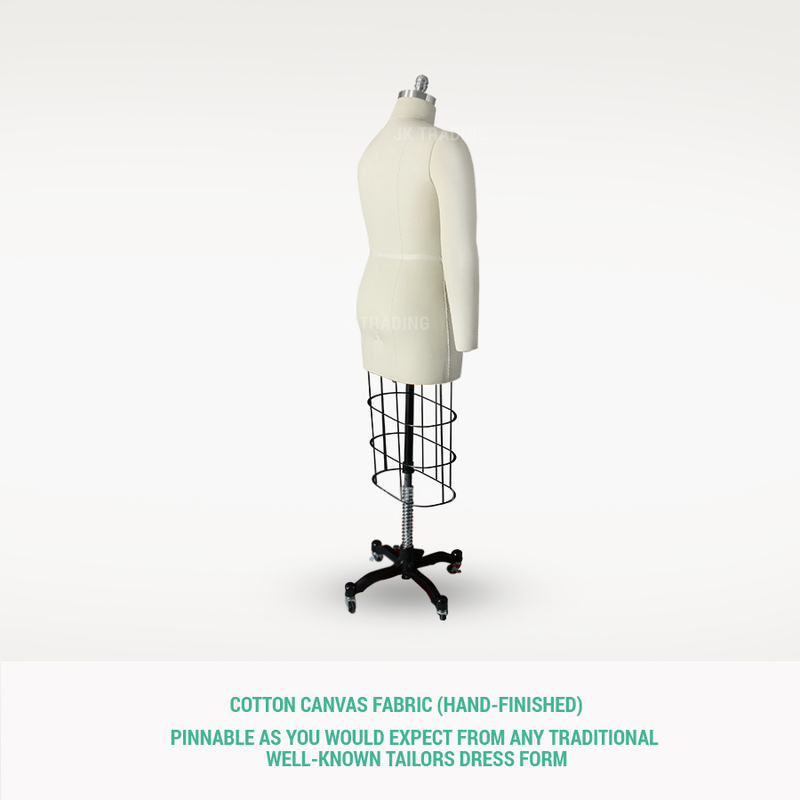 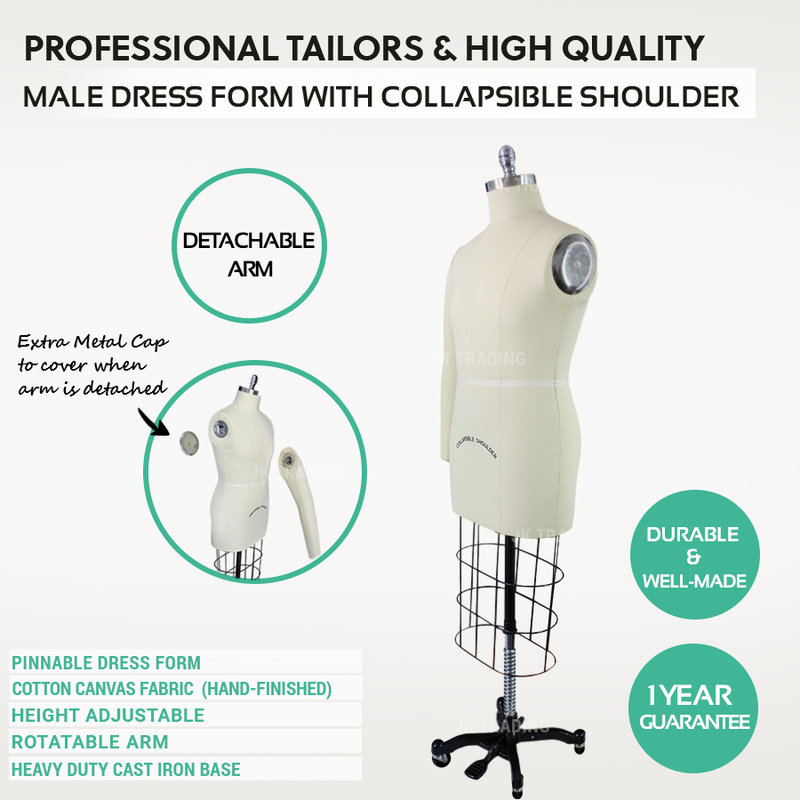 A professional dressmakers mannequin (male) as used by those in clothing and alterations industry. 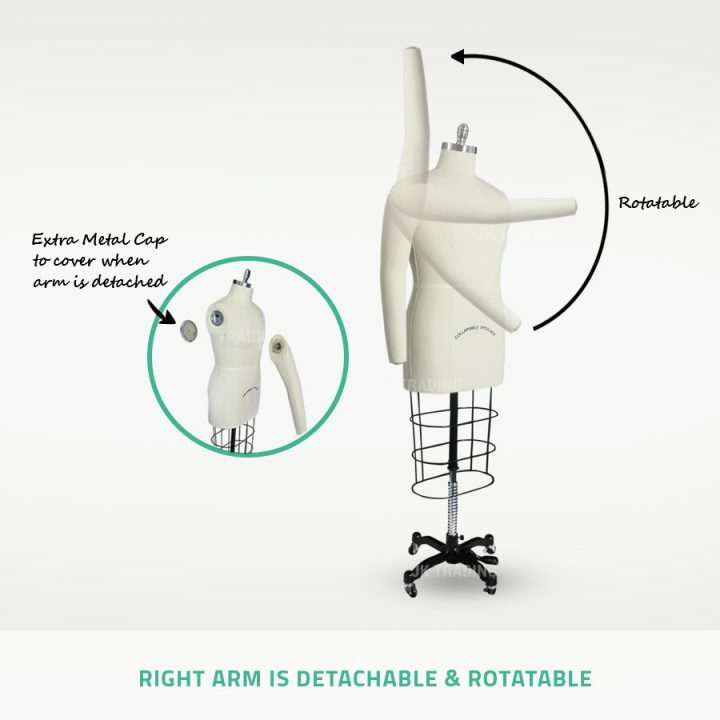 It features a collapsible shoulder, left side flange, detachable Arm on the right side (cover plate provided to cover right side if arm not needed), a hardy cotton-linen fabric covering for the torso, a cast iron base and height adjustment via foot pedal. Adjust the mannequin’s height via a convenient foot pedal. 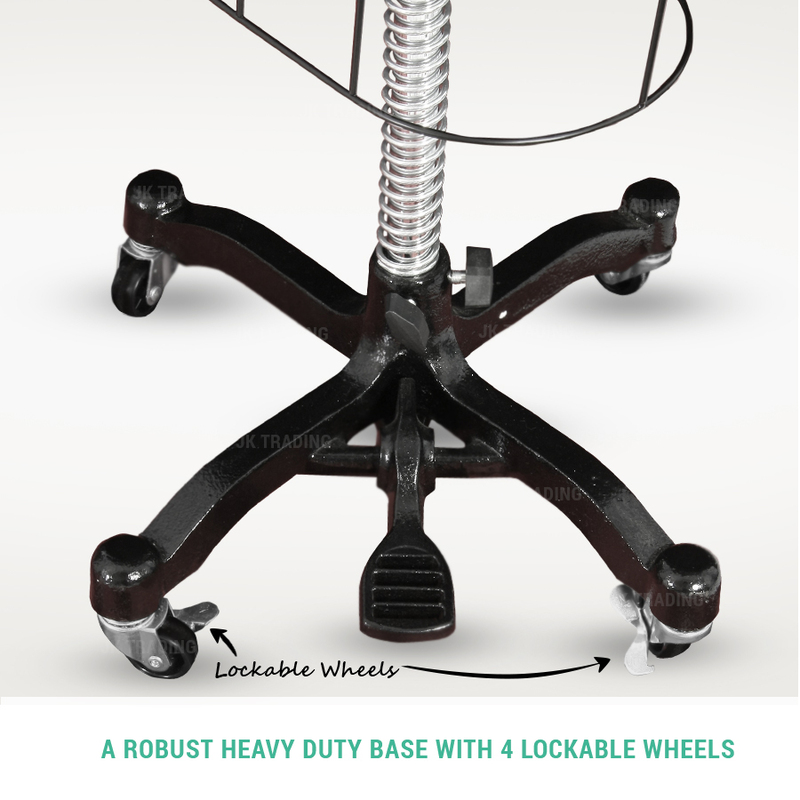 Heavy duty cast iron base painted in black. 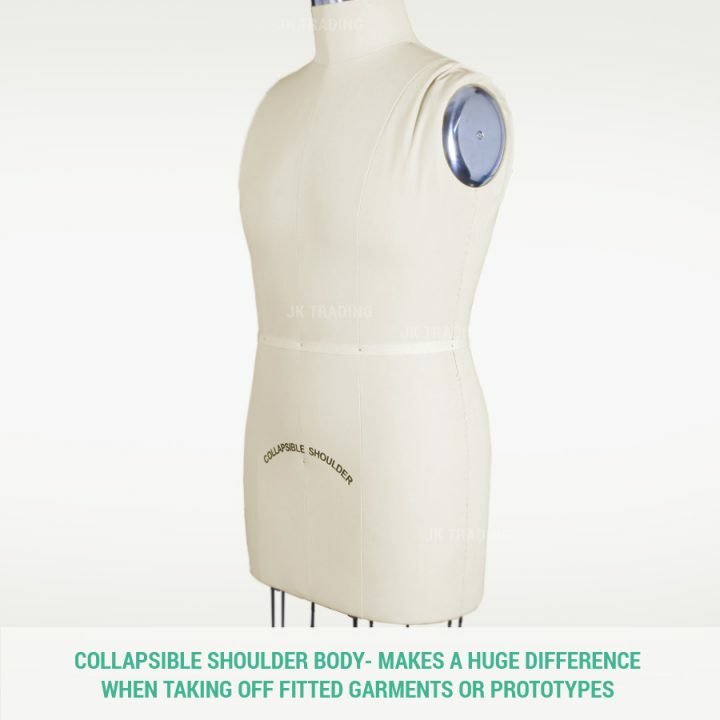 Hardy cotton-linen blend material that’s designed to handle a lifetime of pinning and unpinning. 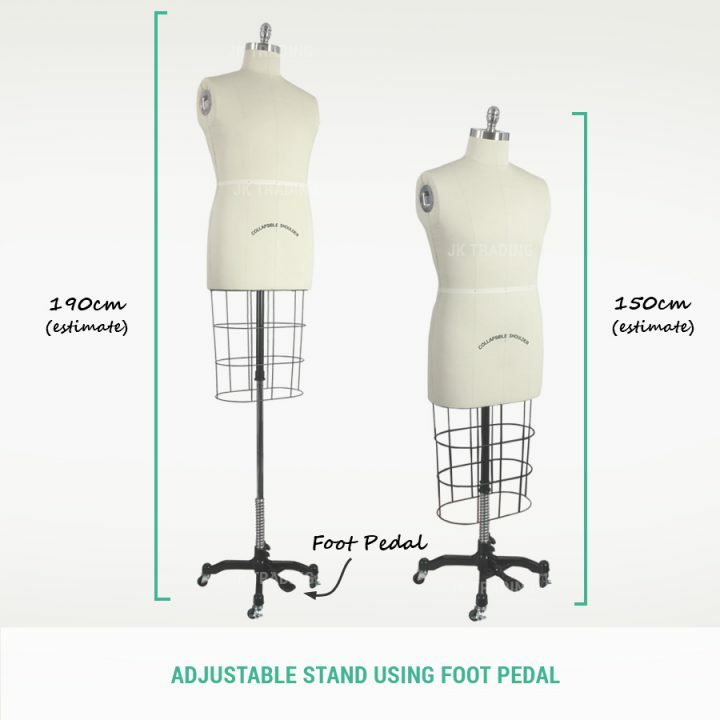 Easily manoeuvrable thanks to four castors on the base. 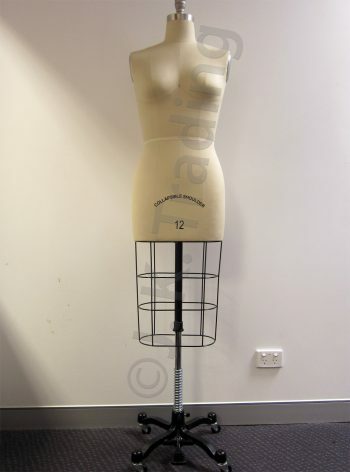 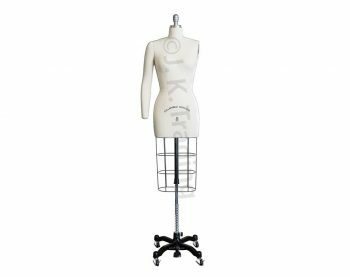 What can I do with this dressmakers mannequin / dressmakers dummy? 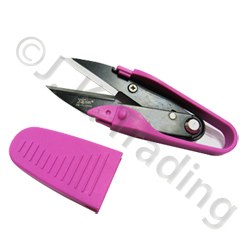 A perfect fit by altering patterns and garments with ease and accuracy. A perfect fit by having more accurate measurement readings. 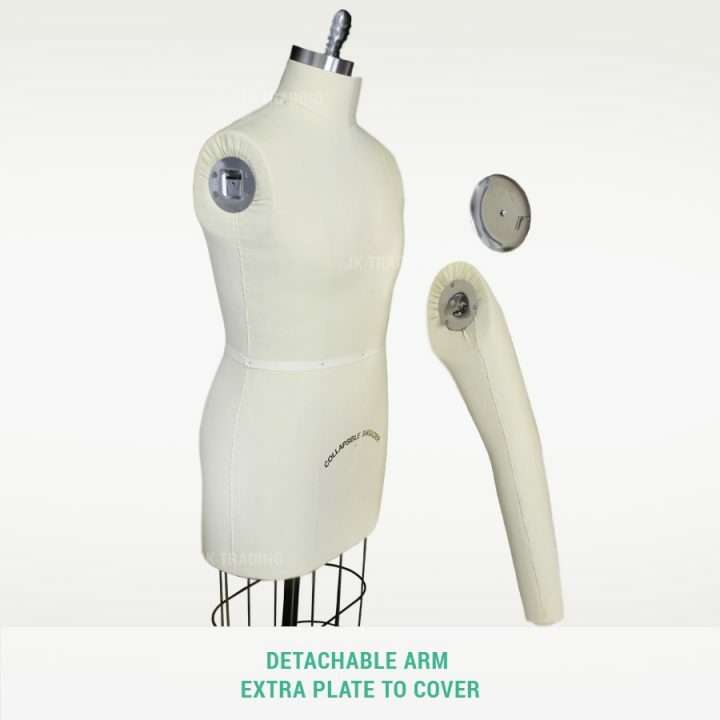 Set-in sleeves and darts without having to constantly try on the garment. 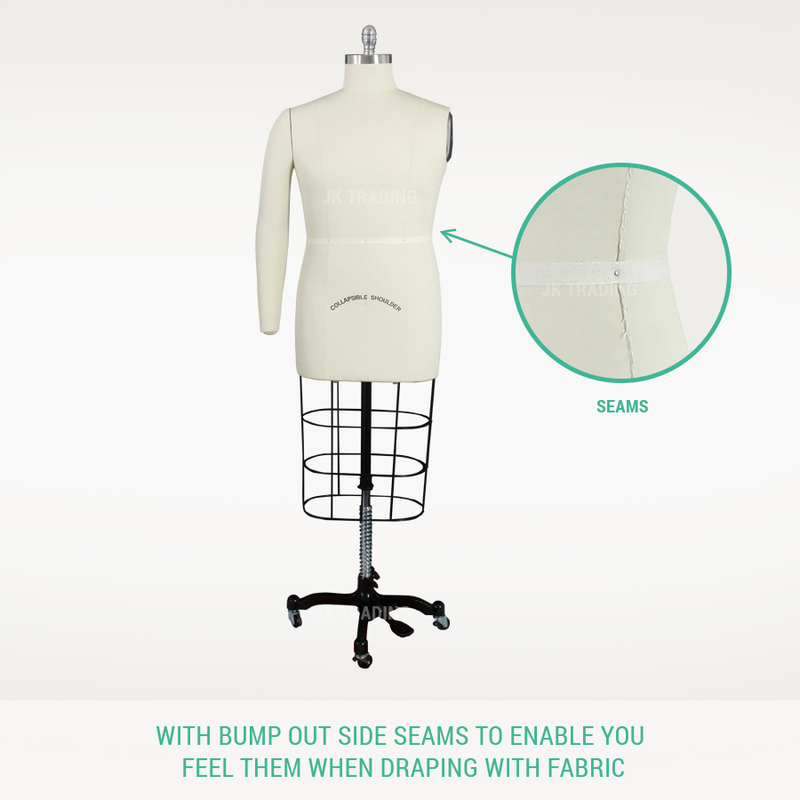 Straight hems in a jiffy. 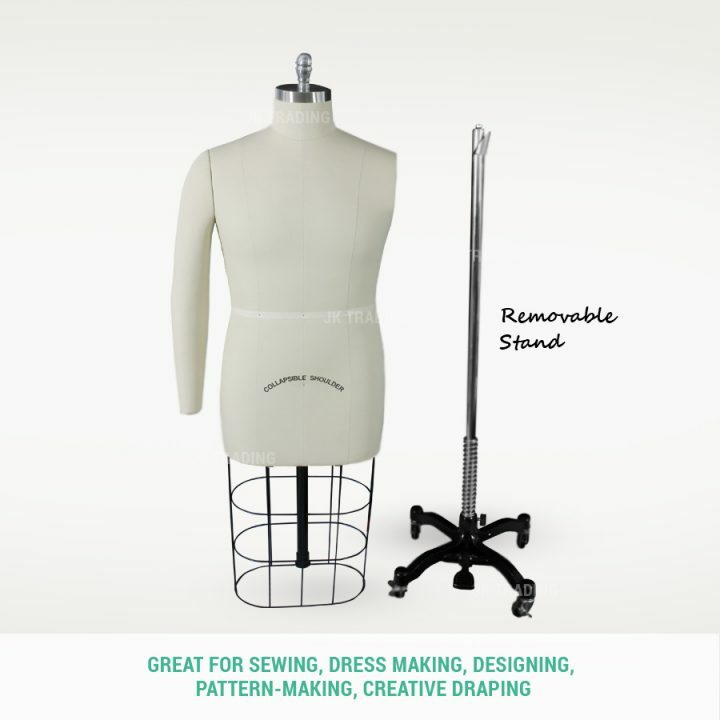 Drape, pin and then step back to take in the whole picture. 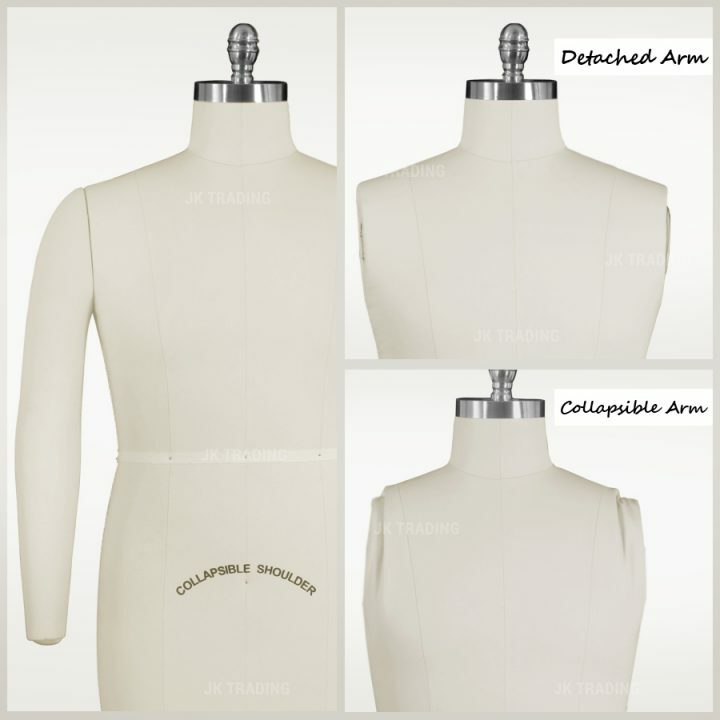 Design and create garments for different body shapes.